I am an advocate of pragmatic causal modelling and aim at bringing statistical causal modelling from pen and paper to fruitful application. We do conceptual work on how our ability to causally reason about a system depends on the variables and transformations thereof being used as descriptors (UAI paper). We were the first to provide a comprehensive set of causal interpretation rules for encoding and decoding models in neuroimaging studies (NeuroImage paper, explainer video (5 min)). I am a PhD student at the Max Planck Institute for Intelligent Systems and associate fellow of the Max Planck ETH Center for Learning Systems, advised by Peter Bühlmann, Joachim M. Buhmann, and Bernhard Schölkopf. I obtained my MSc in Computational Statistics and Machine Learning from University College London, funded by the German National Academic Foundation (Studienstiftung) and the German Academic Exchange Service (DAAD), and my BSc in Mathematics from the University of Tübingen. Questions? Comments? Want to work with me? Just shoot me an email sweichwald AT tue DOT mpg DOT de . coroICA: confounding-robust ICA for grouped data accepted at JMLR! The recordings of our 2016 OHBM symposium "What Neuroimaging Can Tell Us? From Correlation to Causation and Cognitive Ontologies" are available. We are happy to announce that Nicolas Boumal and Bamdev Mishra (both core developers of manopt) are joining the pymanopt team as maintainers. This will improve integration of new methods as well as maintenance level, and will also help to slowly grow the python userbase transitioning away from non-open non-free matlab. On another positive note, it appears that FAIR may be using our toolbox...pssst ;-)...which resulted in this pull request by Leon Bottou from Facebook AI Research that could bring PyTorch support to pymanopt in the very near future. coroICA, confounding-robust ICA, extends the ordinary ICA model to incorporate any group-wise stationary noise and provides a justified alternative to the use of ICA on data blindly pooled across groups (e.g. subjects). 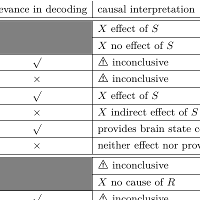 We explain its causal interpretation and motivation, provide an efficient estimation procedure, prove identifiability under mild assumptions, and demonstrate applicability to EEG data. In a collaboration with the University Heart Center Zurich and the ETH Zurich we are developing robust models for predicting 1-year mortality after acute coronary syndromes. 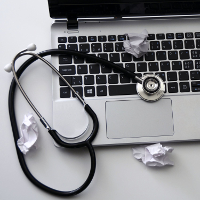 Our approach is robust, interpretable, only uses objective measurements as input instead of subjective assessments by clinicians, and improves performance upon state-of-the-art. 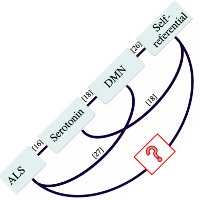 We find that electroencephalography (EEG) correlates of self-referential thinking are present in healthy individuals, but not in those with ALS. In particular, thinking about themselves or others significantly modulates the bandpower in the medial prefrontal cortex in healthy individuals, but not in ALS patients. 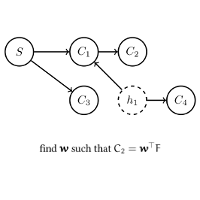 MERLiN is a causal inference algorithm that can recover from an observed linear mixture a causal variable that is an effect of another given variable. MERLiN implements a novel idea on how to (re-)construct causal variables and is robust against hidden confounding. Pymanopt lowers the barriers to users wishing to use state of the art manifold optimization techniques, by using automated differentiation for calculating derivative information, saving users time and saving them from potential calculation and implementation errors. We provide a set of rules which causal statements are warranted and which ones are not supported by empirical evidence. Especially, only encoding models in the stimulus-based setting support unambiguous causal interpretations. By combining encoding and decoding models, however, we obtain insights into causal relations beyond those that are implied by each individual model type. Ideally, causal models of the same system should be consistent with one another in the sense that they agree in their predictions of the effects of interventions. We formalise this notion of consistency in the case of Structural Equation Models (SEMs) by introducing exact transformations between SEMs. We propose to fuse two currently separate research lines on novel therapies for stroke rehabilitation: brain-computer interface (BCI) training and transcranial electrical stimulation (TES). 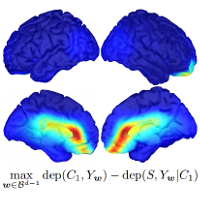 This paper proposes an extension of the MERLiN algorithm to identify non-linear cause-effect relationships between linearly mixed neuroimaging data. In this paper, we argue that it is not sufficient to distinguish between encoding- and decoding models: The interpretation of such models depends on whether they are employed in a stimulus- or response-based setting. 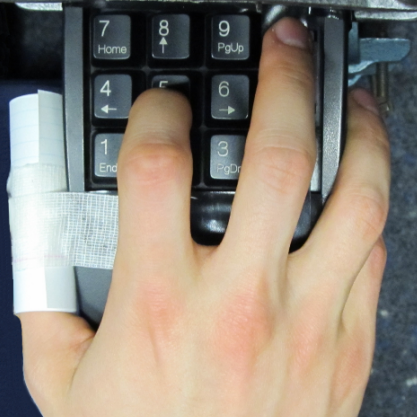 In this work it is shown that index finger positions can be differentiated from non-invasive EEG recordings in healthy human subjects. 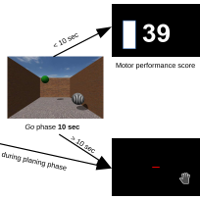 Among the different spectral features investigated, high β-power (20–30 Hz) over contralateral sensorimotor cortex carried most information about finger position. 2017. 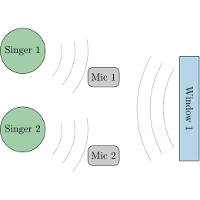 In this commentary, we construct two simple and analytically tractable examples to provide further intuition about the problems with interpreting encoding and decoding models. We argue that if we want to understand how the brain generates cognition, we need to move beyond the encoding versus decoding dichotomy and instead discuss and develop tools that are specifically tailored to our endeavour. 2017. 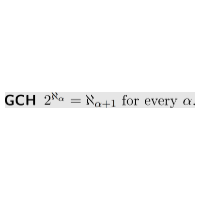 In this note, we characterise the quality of a code (i. e. a given encoding routine) by an upper bound on the expected minimum error probability that can be achieved when using this code. 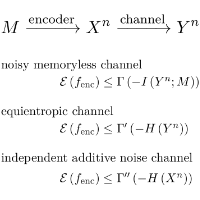 We show that for equientropic channels this upper bound is minimal for codes with maximal marginal entropy. What is Cantor's continuum problem? 2013. This seminar paper reviews Kurt Gödel's article »What is Cantor's continuum problem?«. As this paper aims to be almost self-contained, short recaps, rough explanations and selective examples are provided where appropriate. 2011. 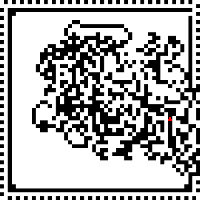 A few small scripts which allow to simulate the ant's behaviour within different two-dimensional grids with different kinds of borders. 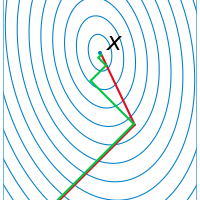 The ant is represented by a little red triangle which allows to indicate the current direction. One can follow the ant move by move, step by step or in fast-forward mode. In my opinion research results should be accessible to everyone. If not publishing open access, authors should consider posting preprints or accepted manuscripts on arXiv or their personal website. The SHERPA/RoMEO database makes it easy to check a journal's/publisher's policy and decide on posting a preprint or author accepted manuscript. 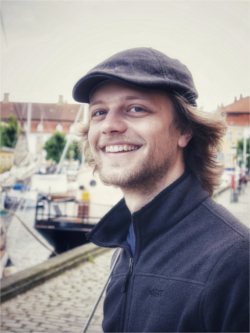 Aaron Bahde successfully completed his essay rotation with me on "Different Notions of Causality employed in fMRI Analysis" as part of his master's studies in Neural Information Processing – Congratulations! 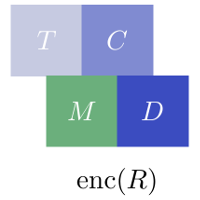 New manuscript and code is out: coroICA: Independent component analysis for grouped data. Check out the project website for an audible example of the "America's Got Talent Duet Problem" as well as a video demonstrating the increased stability of coroICA over pooledICA when applied to EEG data. Our paper Causal Consistency of Structural Equation Models has been accepted for an oral presentation at UAI 2017. I am happy to confirm the speakers for the causality workshop in July that I am organising. We will have Frederick Eberhardt (Caltech) presenting work on micro and macro causal variables, Caroline Uhler (MIT) on causality in genomics, as well as talks on causality and fairness, group invariance principles for causal inference, and the detection of confounding via typicality principles. I got awarded a CLS exchange fellowship to fund my 6 months research stay at ETH Zurich. I am looking forward to a collaboration with the cardiology section of the University Hospital Zurich as well as TAing for the machine learning lecture at ETH where we organise practical machine learning challenges for ~400 students. I am now associate PhD Fellow of the Max Planck ETH Center for Learning Systems. Our paper MERLiN: Mixture Effect Recovery in Linear Networks got published in the IEEE Journal of Selected Topics in Signal Processing. Our symposium "What Neuroimaging Can Tell Us? From Correlation to Causation and Cognitive Ontologies" has been accepted for the OHBM 2016 Annual Meeting. I feel honoured to be organising this together with Moritz and to be part of the speakers line-up together with Russell Poldrack, Martin Lindquist, and Christoph Herrmann. 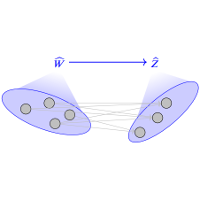 We have released an early version of Pymanopt: A Python Toolbox for Manifold Optimization using Automatic Differentiation. This example demonstrates how to infer the parameters of a Mixture of Gaussian (MoG) model using manifold optimisation instead of expectation maximisation (EM). Moritz's OHBM 2015 educational talk Causal Interpretation Rules for Encoding and Decoding Models in Neuroimaging is online. 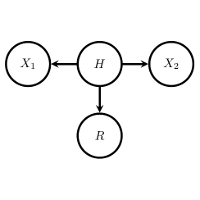 New manuscript and code is out: MERLiN: Mixture Effect Recovery in Linear Networks. Completed my master's at UCL with a thesis on causal effect recovery from linear mixtures. It's time for holidays in the United States! Besides an exciting road trip I am also looking forward to interesting intermezzi: I will present our recent work at the Poldrack Lab (Stanford University, September), the LIINC group (Columbia University, October), and will visit Martin Lindquist (Johns Hopkins University, October). A new explainer video (5 min) describing our work is online. I will present our recent work at this year's UAI Workshop "Advances in Causal Inference" (Amsterdam, July). Moritz will present our recent work at this year's PRNI workshop (Stanford University, June). I have been invited for talks at the FMRIB Analysis Group (University of Oxford, July) and the LIINC group (Columbia University, October). Furthermore, I will be visiting Martin Lindquist (Johns Hopkins University, October). – Looking forward to meeting inspiring people and having interesting discussions! A golden oldie worth a reread: Data Set Selection by Doudou LaLoudouana and Mambobo Bonouliqui Tarare. Let's have a drink, let's have a Kernel! An interesting article: Scientific method: Statistical errors : Nature News & Comment. Videos and slides of MLSS 2013 Tübingen can now be downloaded. An interesting article: Unreliable research: Trouble at the lab | The Economist.